This larger-than-life-size turkey vulture is ready for her close-up! Big Al is a great horned owl with an even bigger personality. He also happens to be Vicki’s newest piece! Welcome to the flock, Al! Three screech owls perch on a antique piece of farm equipment, but don't let them catch you staring. Ava is glamour personified: this massive wood block print features a Eurasian griffon vulture spreading her wings and ruffling her feathers. 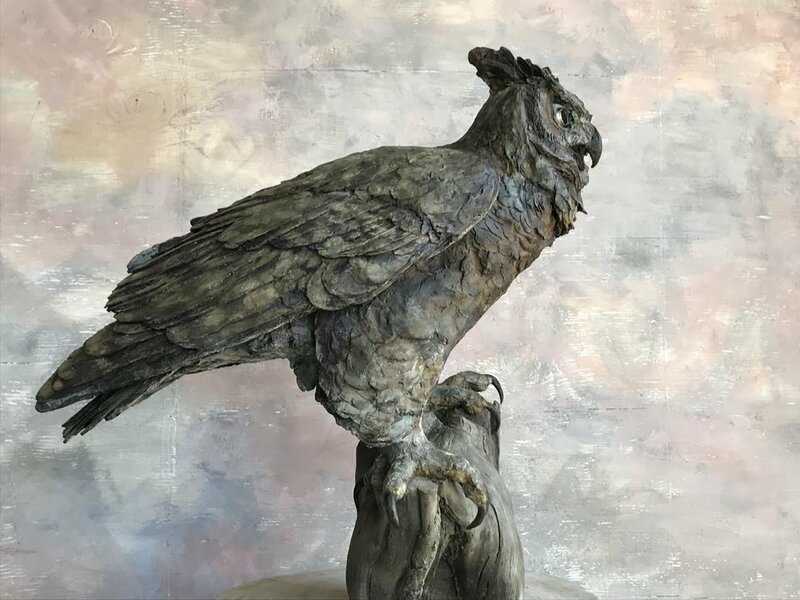 This smaller-than-life-size bronze harpy eagle looks ready to take off into the jungles of Central America where these fierce, captivating birds of prey can be found. 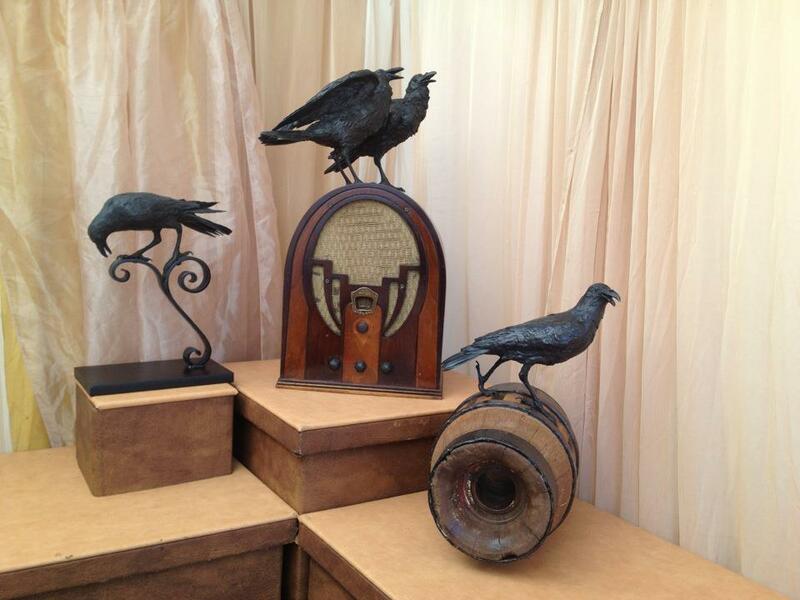 Just your neighborhood gang of crows, doing what crows do best: can't you just hear the ruckus they're raising? Here, an antique carved wood block provides the perfect perch. 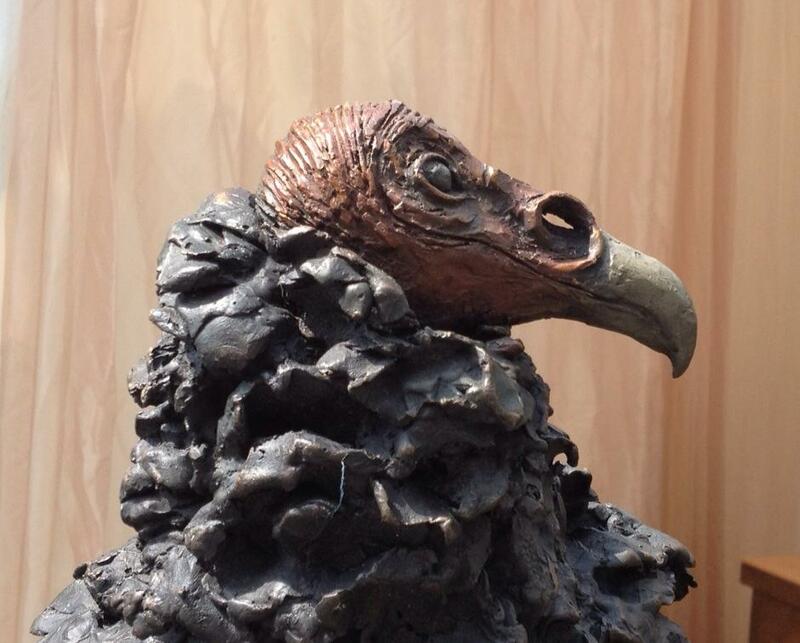 One view of Vicki Banks' majestic life-sized harpy eagle bronze sculpture, originally commissioned for installation at Zoo Miami in honor of the Zoo's participation in harpy eagle conservation efforts. Larger-than-life size turkey vulture Grace lives up to her name, showing off her big, beautiful wingspan while warming up in the sun. 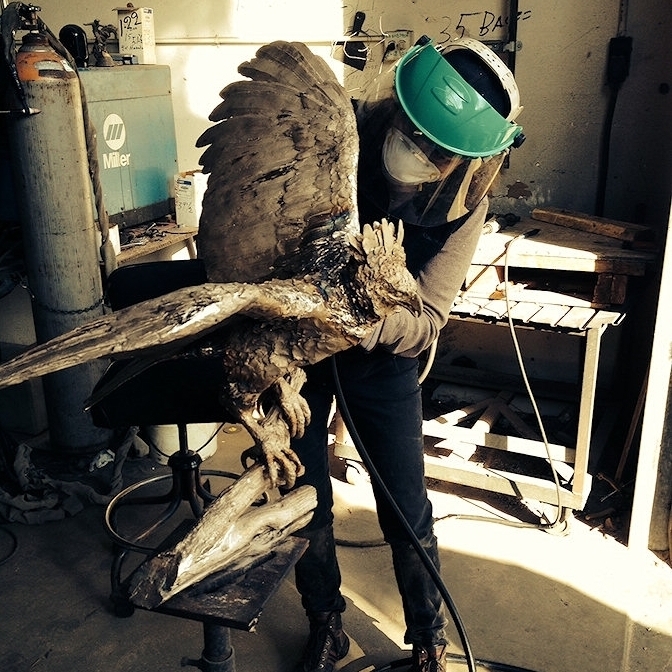 Watch a 360 degree view of one of Vicki Banks’ bronze harpy eagle sculptures - and check out the rest of her videos on the Vulture Sculpture Youtube channel!